In 2008, Zimmer Holdings, Inc. voluntarily recalled their Durom® Acetabular Component, also known as the Durom Cup under the pretense that their were issues with the surgical technique and training used to implant the device. 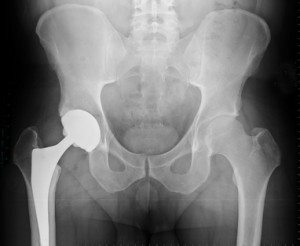 However, this metal hip implant component has shown to have similar problems as other metal hip implant devices such as early failure and corrosion leading to injuries to many of the patients that received them. An estimated 12,000 people received these implants between 2006 and 2008, many put at risk for pain, suffering and additional surgery. Zimmer received FDA approval and began selling its Durom Cup in 2006. The component was comprised of a hip socket made from metal that was covered with a plasma coating. The idea was that the plasma coating would stimulate bone growth, holding the socket or cup in place around the bone instead of using a cement to keep the device in place. However, many patients did not respond to the plasma and bone growth, causing the Durom Cup to not adhere to the bone and move. The result of this issue was that many patients that had the Zimmer Durom Cup implanted were having severe pain and even mobility issues. Some patients needed to have the component removed and replaced within several months of having it put in. This device had been touted to be more effective for long term use than other devices made of plastics or ceramic, with an expected life span of the device of 15-20 years. Yet many patients were needing to undergo revision surgery after only a year or two. However, Zimmer disregarded Dorr’s observations and continued to deny any problem with the device beyond the need for additional training. They maintained that the device was safe as long as it was implanted correctly. Patients that had a Zimmer Durom Cup implanted and experienced pain, loss of mobility and even needed revision surgery are seeking compensation for their injuries from Zimmer. A multidistrict litigation (MDL) was created to handle the many lawsuits from the thousands of patients that were experiencing issues with their Zimmer hip replacement. Patients could receive reimbursement for medical and other costs as well as monetary compensation for their pain and suffering. Rosenfeld Injury Lawyers LLC represents people who have suffered complications after receiving a Zimmer hip. Our attorneys are familiar with the complications associated with these devices and the pending litigation. Allow us to answer any questions you have without any obligation.